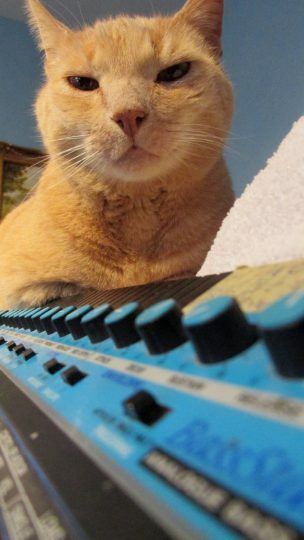 Scout sits atop a vintage Roland synthesizer. 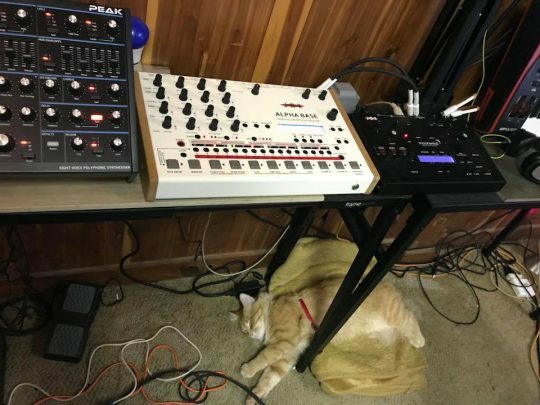 We are pretty sure it’s a Roland Juno 106. In the back, we see a Dreadbox Hades, as well as offerings from Novation and Arturia. From Carl Peczynski via our Facebook page. 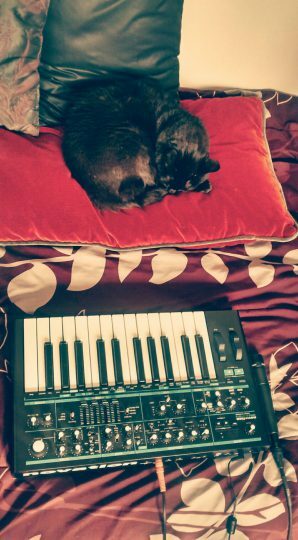 Kicia relaxes next to a Novation synth – we are pretty sure it’s a Novation Bass Station. From Julian Cumpián via our Facebook page. Kicia is tired after laying down synth parts all day. 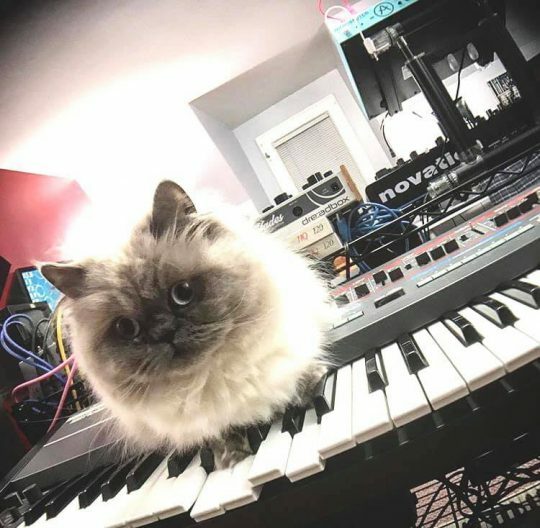 Nemo the cat plays a modular synth via Novation and Arturia controllers 😺🎛. From Stefano Girola (@squarewaves) on Instagram. Meet Nemo! He is showing off an original Novation Bass Station keyboard synthesizer. Photo submitted by Arthur Schmitt via our Facebook page. Before the famous Novation Bass Station Rack module came the small and portable Bass Station keyboard! This synthesizer uses digitally synchronized analog oscillators (DCO’s) to reproduce the sounds of a monophonic dual-osc analog synthesizer with simple and intuitive controls via 17 knobs, 10 switches and 2 Moog-style pitch/mod wheels. Think EDP Wasp and ARP Odyssey.